The host, Bety gave us excellent tips on beaches, places to eat and bars. We thank her for the hospitality. Spacious with a good terrace. Great location to explore the area, very close to the fortress. Easy parking. Out of town, but taxi back from the town was cheap, and meant you could get some peace and quiet. 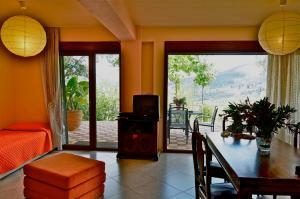 The apartment is confortable and located in a quiet and excellent position to explore the town and the surroundings. The host was very nice and offered advice for restaurants and beaches. Availability of washing machine appreciated. Very friendly hosts made us feel at home immediatly. 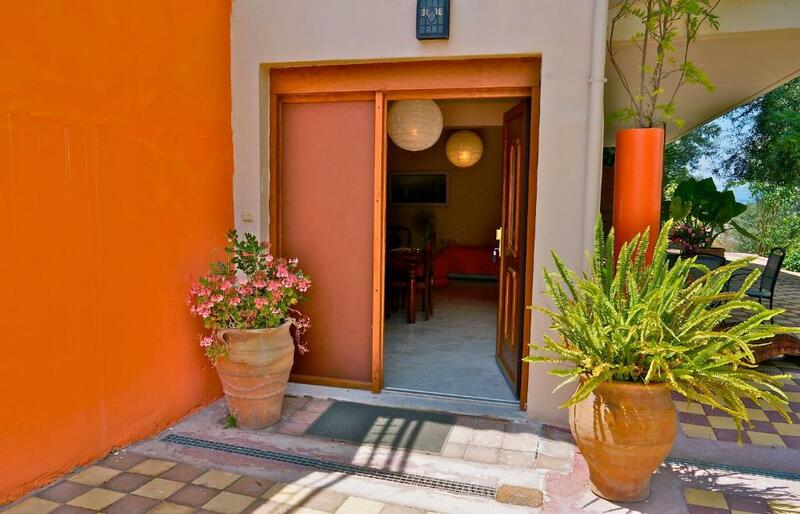 Close to the beach, Palamidi Castle and the centre of Nafplio (but you need a car). Close to a Lidl supermarket. Warm welcome, pool with amazing views, comfortable apartment, easy walk to town. Quiet Place on a hill near the center of Nafplio. Nice view- Nice Hostess and although breakfast wasn't included, there were several groceries in the kitchen like bread-butter and marmalade. A very specious and convenient apartment with a great view from the balcony. The hostess and her daughter are very friendly and helpful. Lock in a great price for Ktima Dafnes – rated 8.9 by recent guests! 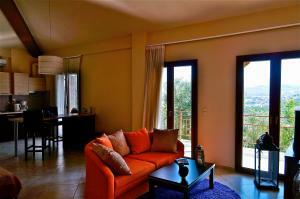 Near the Palamidi Castle and Karathona Beach Ktima Dafnes enjoys a great location in Nafplion. 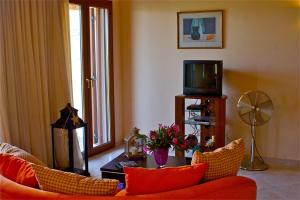 Ktima Dafnes offers deluxe studios and apartments with views over the plain of Argolis. 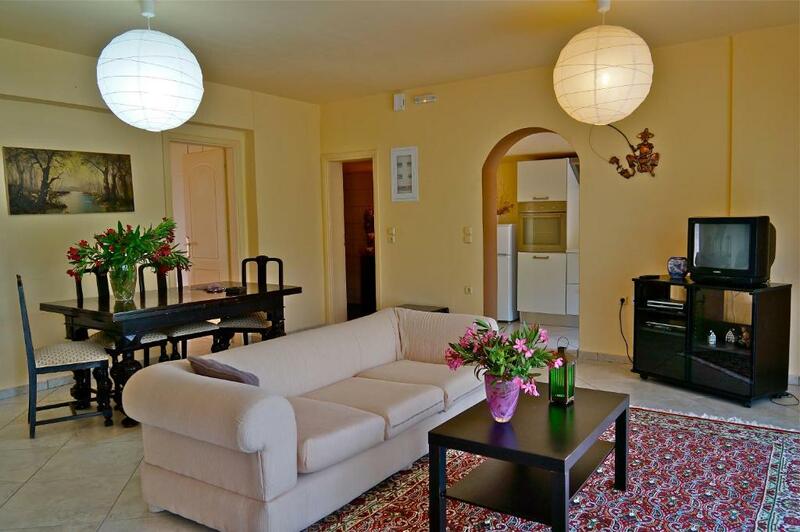 Each is stylishly decorated and has a rustic kitchen a marble-lined bathroom and direct access to the garden and the olive groves. Guests can prepare their own breakfast. The hotel provides you with tea, coffee, butter and jam. 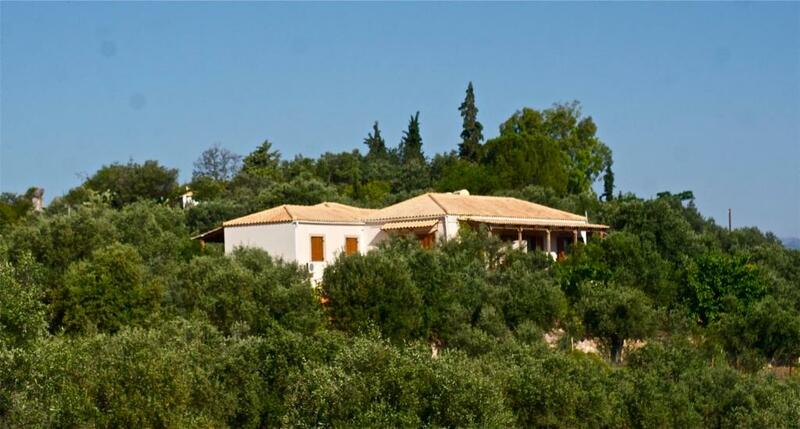 Set in a private farm with various trees and flowers, as well as a playground area for children, Ktima Dafnes offers a relaxing base in Nafplion. 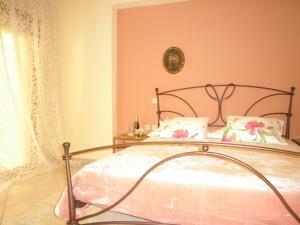 When would you like to stay at Ktima Dafnes? Opening to a patio with garden views, this spacious and air-conditioned, open-plan studio is fitted with modern furnishings. 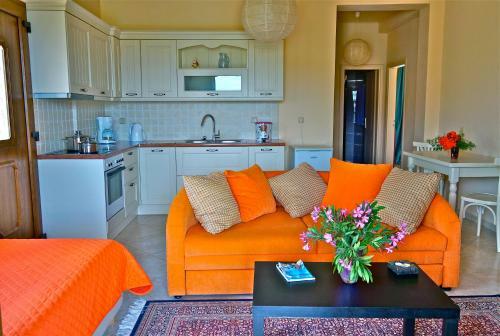 It offers a living room with flat-screen, satellite TV and a kitchen with dining table and oven with cooking hobs. Free wired internet is available. Offering a balcony with garden views, this tastefully decorated and air-conditioned apartment has a separate bedroom. It features a living room with flat-screen, satellite TV and a kitchen with dining table and oven with cooking hobs. Free wired internet is provided. Opening to a balcony and a patio with garden views, this air-conditioned apartment has a separate bedroom. It features a living room with sofa and flat-screen TV, as well as a rustic kitchen with dining table and oven with hobs. A hairdryer and a washing machine are included. This family room has a electric kettle, dining area and washing machine. Opening to a balcony and a patio with garden views, this air-conditioned apartment has a separate bedroom. It features a living room with sofa and flat-screen TV, as well as a kitchen with dining table and oven with hobs. A hairdryer is included. House Rules Ktima Dafnes takes special requests – add in the next step! Ktima Dafnes accepts these cards and reserves the right to temporarily hold an amount prior to arrival. Please inform Ktima Dafnes of your expected arrival time in advance. You can use the Special Requests box when booking, or contact the property directly using the contact details in your confirmation. Everything was fine. We had a nightmare getting there but this was because of road closures on a public holiday (25 March) and couldn’t be avoided. Really liked the outside area. Apartment spacious and comfortable. Host came to meet us when we got lost due to closed roads everywhere ( market). Free bottle of wine much appreciated after difficult journey. The trees were a little overgrown, which blocked the view. Breakfast was a little simple. Management smoking to mach ..